Check Mr Fitzpatrick's selection of new flavours and limited editions. Deck the halls then dilute this cordial with still or sparkling water for a rich and velvety drink, or simply serve hot as a healthy alternative to a caffeine based beverage. 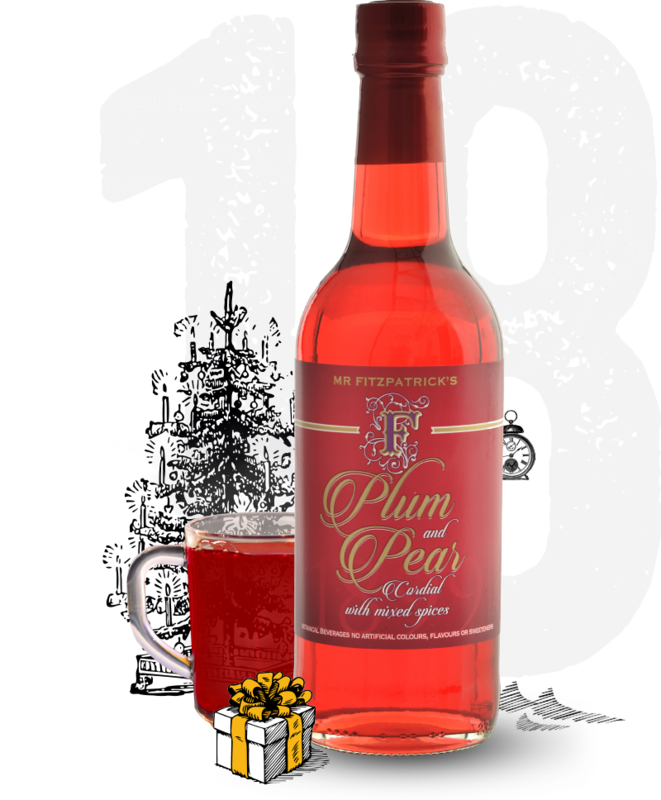 This limited edition festive flavour has a distinct taste that's definitely worth toasting. Our Plum, Pear and Mixed Spices cordial will warm you up on a winter day, with its mix of seasonal spices included nutmeg, cinnamon and cloves.